Also see my review on the DHC Moisture Care Lipstick Shade PK04 Sweetpea.-a super pretty neutral light pink lipstick. I am a person who never ever changes mascara, at least no "voluntarily". I've been using Loreal Telescopic since I was like 13-14 or whenever I started using mascara and I think it is great. Sometimes I use the Natural Collection one from Boots which is super cheap, but for some reason I don't find it that great anymore and I realised it contains cheap ingredients like mineral oil. 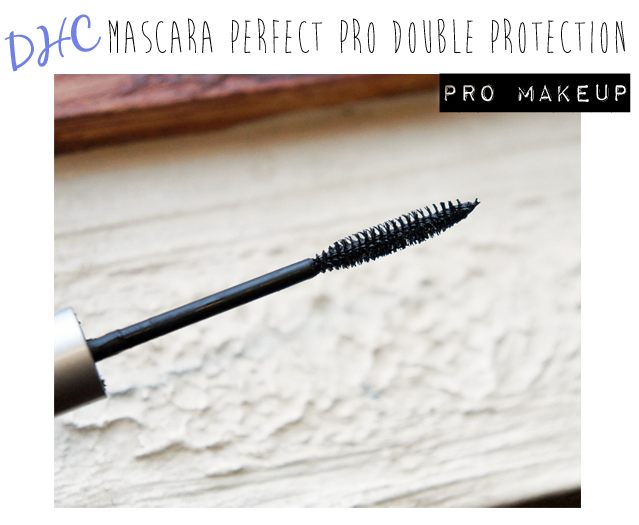 Now to the DHC Perfect Pro Double Protection Mascara, I got it at the DHC blogger event that I attended roughly a month ago, read about it here. Random fact: You can wash this mascara off using warm water only- it will slide off and leave no residue at all (in case you didn't read the description ;) ). It really works! I definitely didn't have any particularly great expectations when I first tried this mascara simply because of what I mentioned before, I hardly ever change mascaras or like new ones. The first time I tried it was randomly, the same evening that I got back from the event I suspect. It seemed pretty basic to me. But bare in mind I tried one coat, on one I with out building it up or anything. Now I absolutely love it and although I had just bought a new Loreal Telescopic and tried to "save" this new found favourite, I couldn't! I have been using it daily. 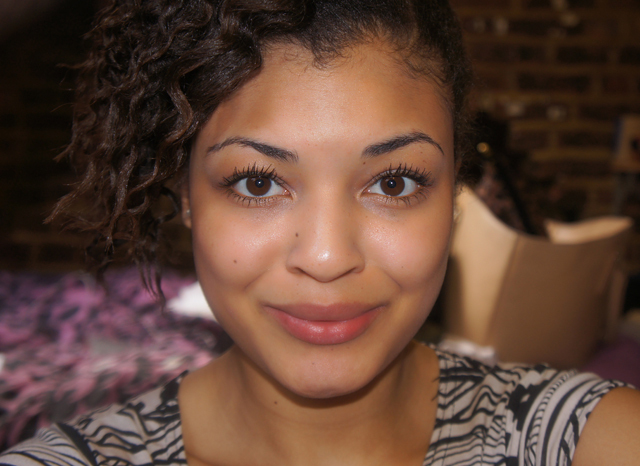 Application: So you might have noticed the tiny, tiny mascara wand. However it is pretty great as it allows you to reach every single lash without being clumpy o giving you thick lashes. The formula is great for layering the mascara, which allows you to build it up, making your lashes longer and longer. And you definitely won't need a separate lower lash mascara (yeah they have those, personally I think thats ridiculous) with this tiny wand. How long does it last? I haven't noticed this wearing off so I think it's fair to say it stays put all day. At the end off the day you can just wash it off using warm water- and you won't need to worry about black residue around your eyes. I also wanted to show a fotd picture just to show you what it looks like from a far as well. What do you think of the results when wearing this? That looks amazing!! I like that you don't need makeup remover to take it off. You have flawless skin btw!!! 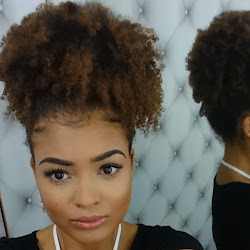 That mascara is fierce! Great review and your eyes look awesome! 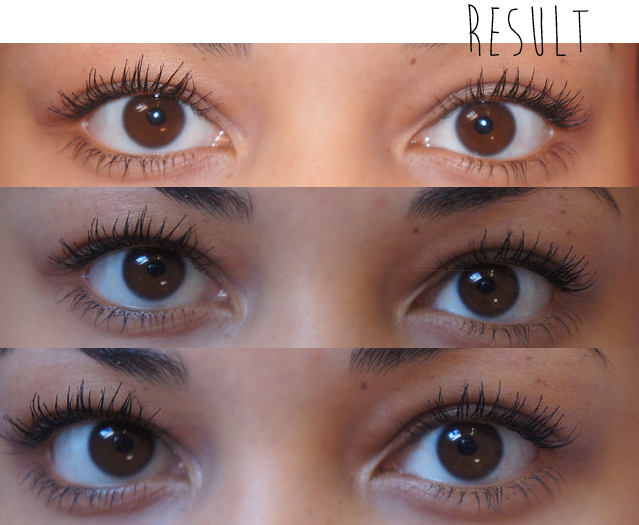 Awesome mascara! You look beautiful!